What a great season to Fall in love with volunteering! Verizon employees help create super hero capes in their Basking Ridge, NJ office in July 2014. 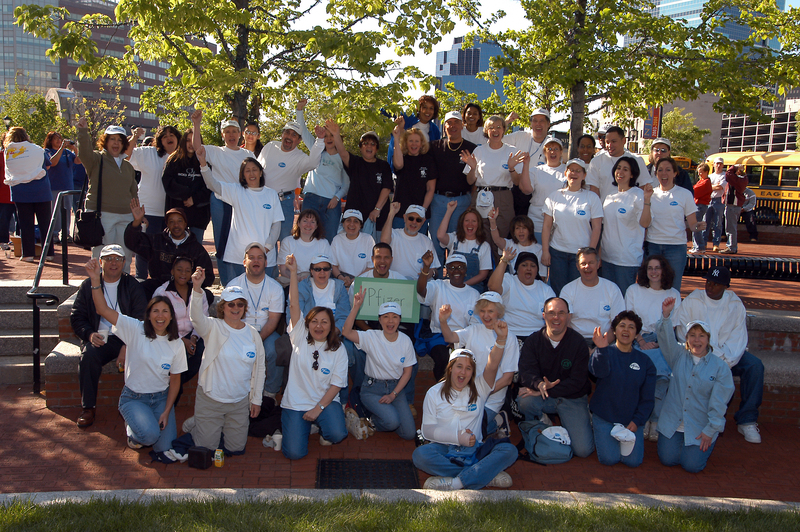 Verizon’s robust Corporate Service Responsibility programs and volunteer initiatives engage all of their employees in meaningful service. The company decided to take a unique approach to accommodate their call center employees, who are critical to Verizon’s operations and have limited flexibility to leave their desks for extended periods of time. Since March, Verizon has delivered a successful solution to engage these employees: bringing volunteer projects that can be completed in 15 minutes or less right into break rooms.